Coding lessons are gaining popularity in China despite an overall fundraising slump in the country's education industry. Education companies completed a total of 629 fundraising rounds last year, 167 fewer than in 2017, according to The Blue Paper of Education 2018. Amid such a "capital winter", investment in coding training startups topped all other companies in the sector, in terms of both financing deals and amount. With a total of 782 million yuan ($116 million) raised, coding training companies attracted 44.4 percent of total education investment deals last year, the report found. The online coding training market will grow much more rapidly than the currently burgeoning online English language tutoring sector in the coming years, predicted Tang Liang, founder and CEO of VIPCODE, an online coding training startup. "The online coding training sector is expected to equal one-third to half the online English tutoring market scale, as more primary and middle schools are including coding in their courses," Tang said. That would be significant progress, as online English tutoring is already a 60 billion yuan market. Government policies are a major driver of the sector's booming development, said market consultancy iResearch. 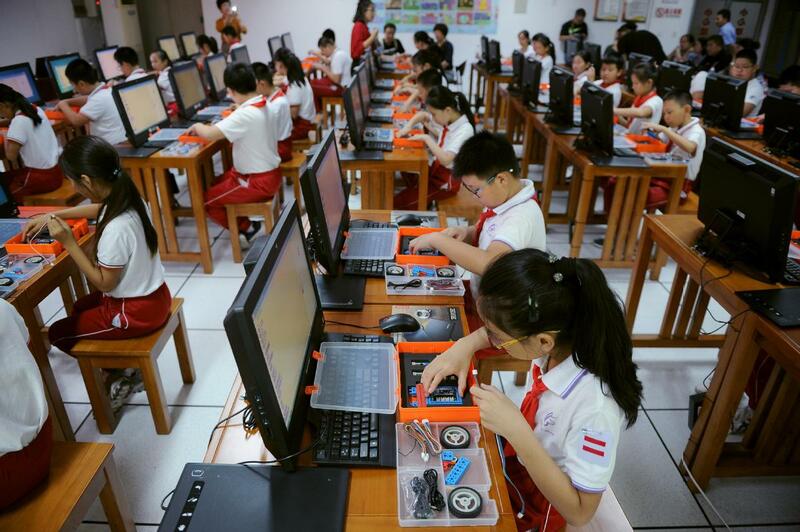 The State Council, China's Cabinet, released an artificial intelligence development plan in 2017, calling on primary and middle schools to promote coding education. The authorities have also encouraged private companies to participate in the development and promotion of coding software. Benefiting from such policies, Beijing-based VIPCODE attracted 85 million yuan in its pre-A round of financing, with Sinovation Ventures, Softbank China, Blue Lake Capital and ZhenFund among its investors. Founded in 2017, VIPCODE offers kids aged between 6 and 16 online coding courses, with one-to-one and small-size classes. It has developed several courses, including for the Scratch and Python programming languages. "For coding startups, their core competitiveness lies in their research and development ability," said Tang. "To be clear, it's the ability to make complicated logic easy for children to understand and learn." Zhang Lijun, an education investor and executive director of Sinovation Ventures, said training the mind and teaching logic through coding is important. The investment firm, which is backed by world renowned AI expert Kai-Fu Lee, has invested in a string of startups in STEM education (science, technology, engineering and mathematics). "With the coming of the AI era, coding training will play a critical role in nurturing talents to meet the demand," she said.